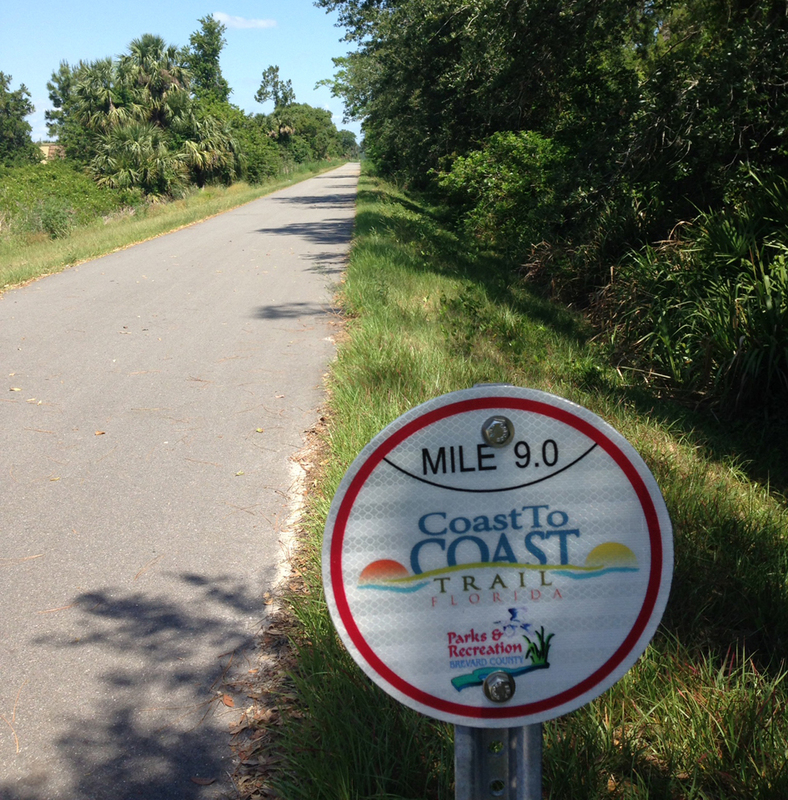 Meaty Mims on the Coast to Coast Trail | Florida Hikes! 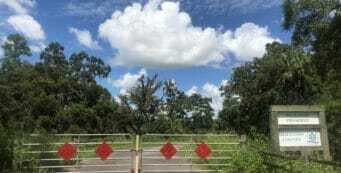 Just north of Titusville is the small community of Mims. The slogan on their water tower says “Mims, the friendly city.” For more than 30 years I have been riding my bike through this little town, never dreaming that one day there would be a cross-state rail trail in its backyard. On a recent ride, I started making notes of places of interest along the new Coast to Coast Trail. 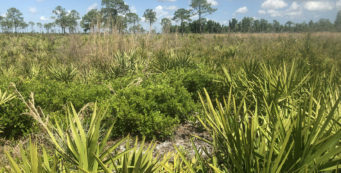 As I was turning around at the back entrance of Indian River Preserve Golf Club, I met a couple of fellows on a golf cart. They were from the golf course office. They invited me to ride a little farther to the country club and check out the lunch at Andrei’s, their restaurant. Thanking them, I said I’d try it the next time. I had another place in mind for my lunch stop, someplace that I’d driven and ridden by at least a hundred times before and never stopped. 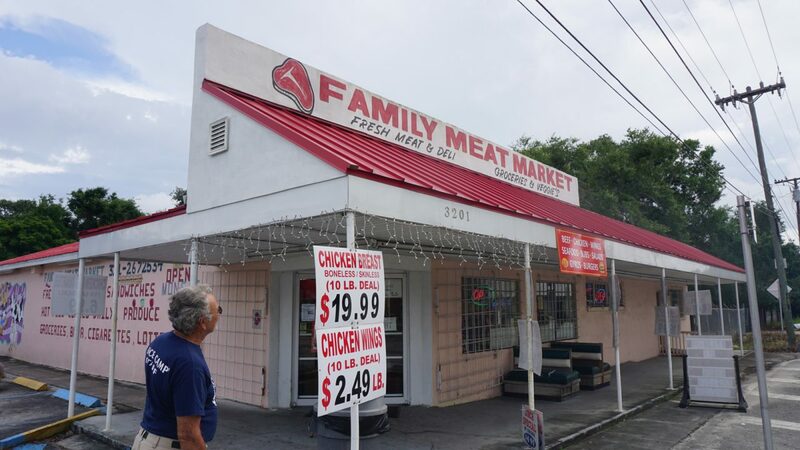 I was hoping that the Family Meat Market, a small grocery in a concrete building a block off of US 1 and a block from the Coast to Coast Trail, had a deli or some kind of prepared food. After stepping inside and looking through the glass case, I knew I was in the right place. Standing in line, I asked the fellow in front of me, Seth, if he’d eaten here before. “Oh yeah!” was his reply. His suggestion was the beef brisket. I quickly followed it after being offered a sample. Two thick slices later with a side of rice, I was in meat eaters’ paradise . 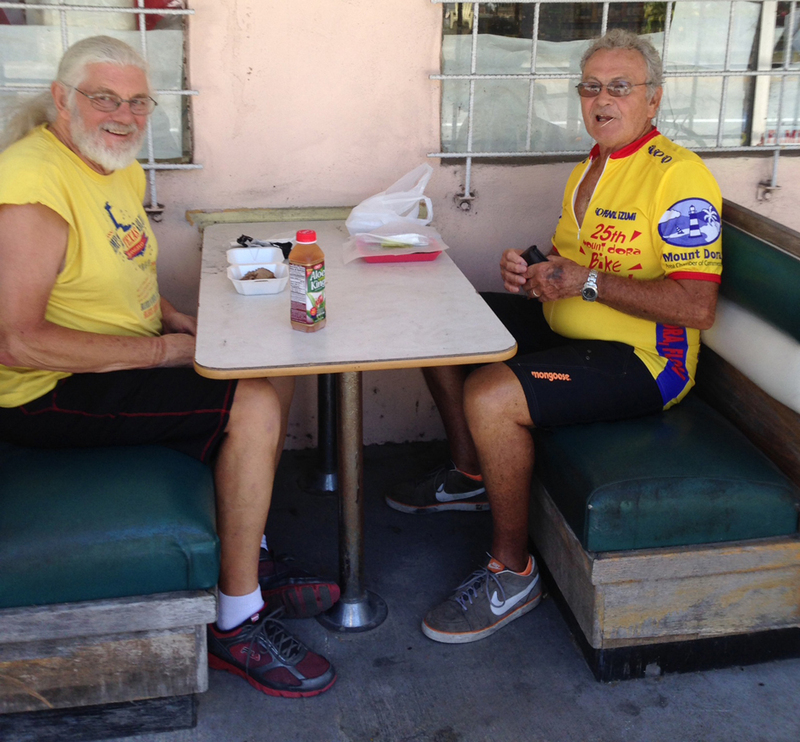 My friends Steve and Rod were farther up the trail, so I called to see if they had lunch plans. “Have I got a surprise for you guys!” I said. I told them I’d stick around and keep eating until they arrived. 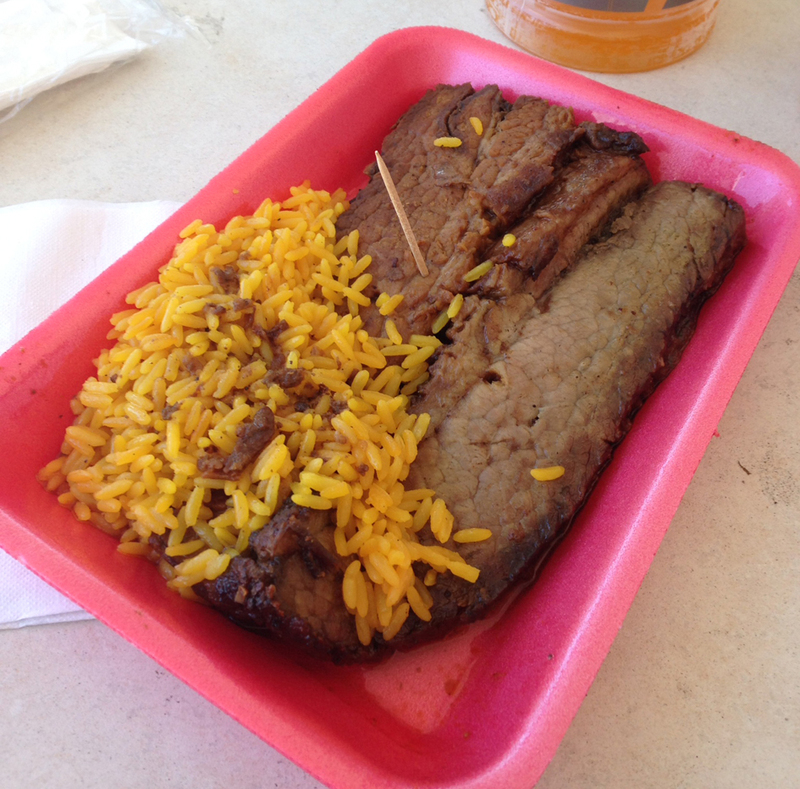 They also opted for the brisket, but tried the dirty rice. It must have been good seeing the empty trays when they finished. Who wants to carry home leftovers by bike anyway? A great ride, a beautiful day, good friends, and a food surprise. 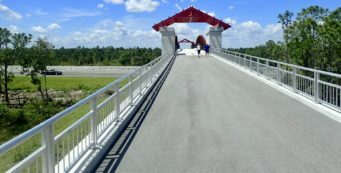 This is why I love long distance bicycle touring. You never know what’s around the next corner or where your next surprise meal will be. Next time, ice cream at Frisbee’s, a few more blocks north!